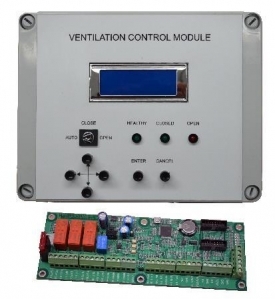 If you are looking for smoke ventilation systems (AOV systems) and smoke control systems, get in touch with our experienced team today and we can have automatic smoked vents installed for your protection. Here at Rocburn Limited, we’re passionate about making both domestic and commercial buildings as safe as possible, and we pride ourselves in fitting the best smoke ventilation systems around. 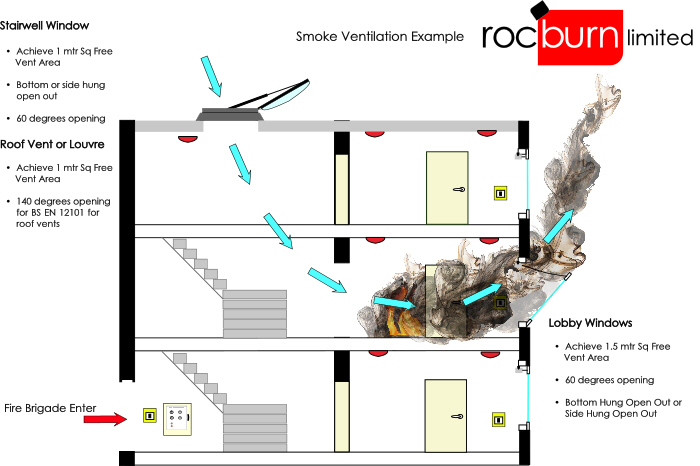 In commercial buildings and multi-occupancy buildings, there is a requirement by law to keep escape routes clear and free from smoke to enable both occupants to escape and to allow fire brigade access. Our smoke ventilation systems are governed by standards such as BS EN12101 and Approved Document B, and they are discreet systems which do not impede access or exit routes. To learn more about Smoke Ventilation & the steps we’ll take you through as part of your project please read our overview document below. At Rocburn Limited, we are the fastest growing electric and manual window opening and ventilation specialist, and we’re delighted to be able to offer excellent, bespoke services. 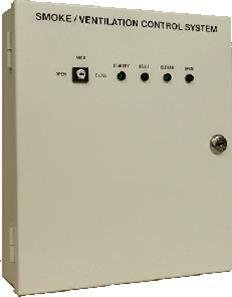 We can supply a range of electric window actuators so that you can achieve the required free vent area as specified by the Fire Officer or Building Control. 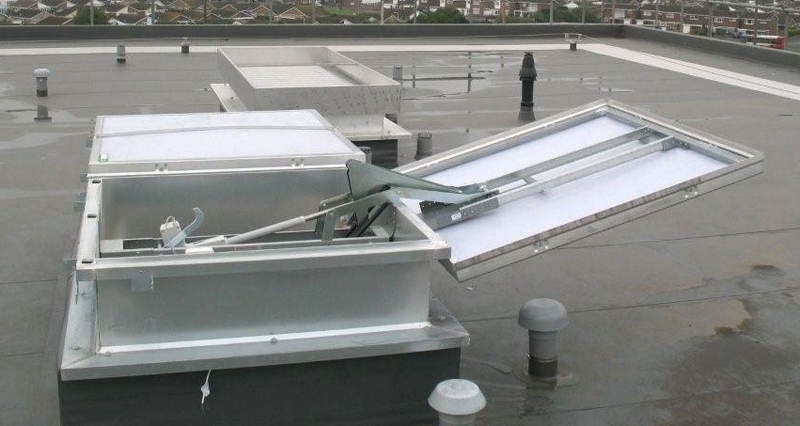 Our smoke ventilation systems are available in a range of different opening distances to suit the required vent area; talk to us today about your specifications and we can offer you 24v chain or linear actuators for stairwells or lobby windows. Whatever your needs, we can help you find the best smoke ventilation systems. 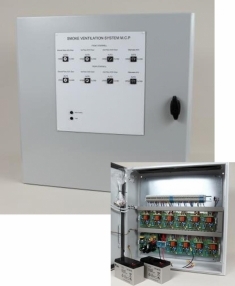 If you are looking for AOV systems or smoke control systems, contact our team now. Smoke ventilation systems are critical to your safety so it’s important to get the correct products to suit your building requirements. We will obtain as much information as possible in order to advise you on the best smoke control systems for your building. Please note: building plans, window schedule and other specific requirements will be very useful to our team in helping you choose the right smoke ventilation systems.